What are the best wedding renewal beaches in Maui? Who has the best cheap Maui Wedding renewals? 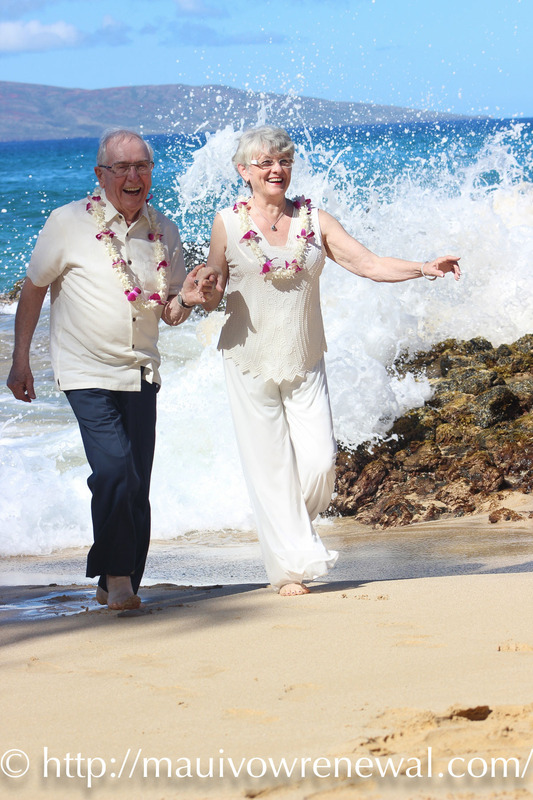 As Renewal planners we offer Maui renewal packages with a Hawaiin themed ceremony. Q. 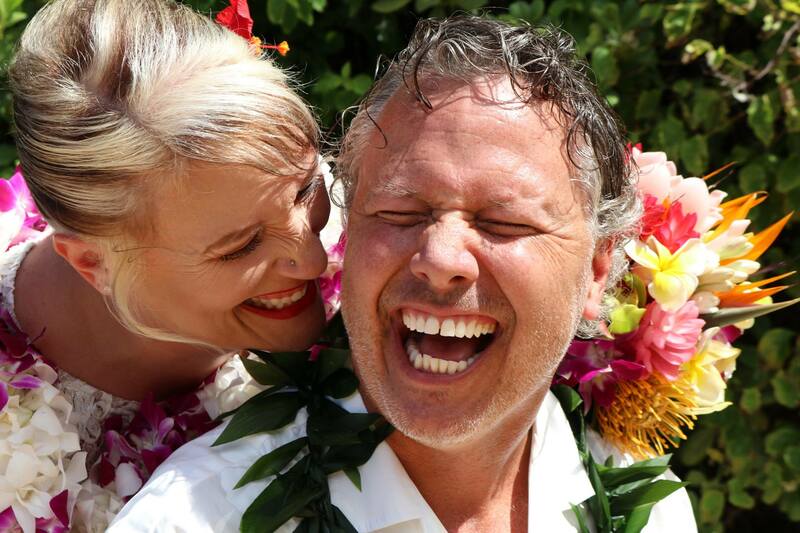 Who has the best cheap Maui Wedding renewals? 1. How would your rate the ceremony? 2. Did you think your package was fairly priced? 3. How would you rate the assistance you received by phone and/or email? 4. How satisfied were you with receiving free copyright use to develop your own images? 5. Was receiving the copyright use for all your photographs (which allowed you to use Photo Shop and save at least $150) more important than having them color corrected by me? You did a fantastic job! Thank you for making our day more than I ever imagined! Everything fell into place perfectly and it couldn’t have gone any better!! The reason we use the word cheap is because oftentimes customers use this word in their web search for an affordable renewal package. We never compromise on quality, when we use the word cheap, we mean affordable. Q. What are the best wedding renewal beaches in Maui? What is the best location for a Maui sunset wedding renewal? A. McKenna Cove, which is often called Secret Beach, is far and away the most beautiful location for a wedding renewal. It has a golden sand beach, and because it’s a cove, the palm trees come right out to the edge of the water, and with the lava rocks the ocean waves spray fifteen feet in the air. The natural beauty of Secret Beach makes it an amazing place for photos and unforgettable memories. With the least amount of rain, it is by far the driest wedding renewal location in Maui! Q. Who does the best wedding videos on Maui, someone who is affordable, or even cheap? A. We have videod over 500 Maui beach weddings. 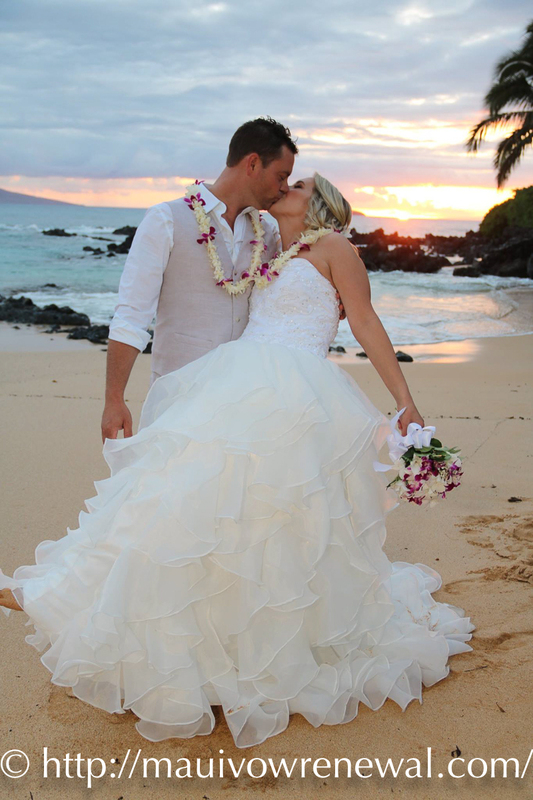 All Maui beach wedding videos include a wireless mic and a professional dvd camera. Our prices range from $200 for an unedited video, to $550 for an edited video. Click here to enjoy our demo.